Planning and preparing for an expedition is an adventure in itself. 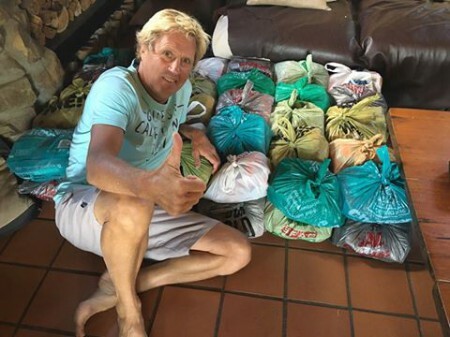 With days to go until the start of the Cape2Rio trans-Atlantic row, Clyde Barendse will now be rowing with Braam Malherbe, taking Peter can Kets’ place. Howz that! Being roped into rowing across the Atlantic just before the adventure is scheduled to begin! Pete has withdrawn due to “family and personal reasons”. Good luck to Braam and Clyde. They should be setting off any day now. Update: According to a post from Braam, they have been advised to “delay departure for around 72 hours due to gale-force winds and big on-shore swells”. Looks like Saturday or Sunday will be good to go. A week before departure. Braam packing. Clyde spoke at FEAT 2014 with Steve Black. Here is their FEAT talk.